Are you new to yoga? Working with a health condition or injury? Would you like to deepen your home practice or need aid in alignment? 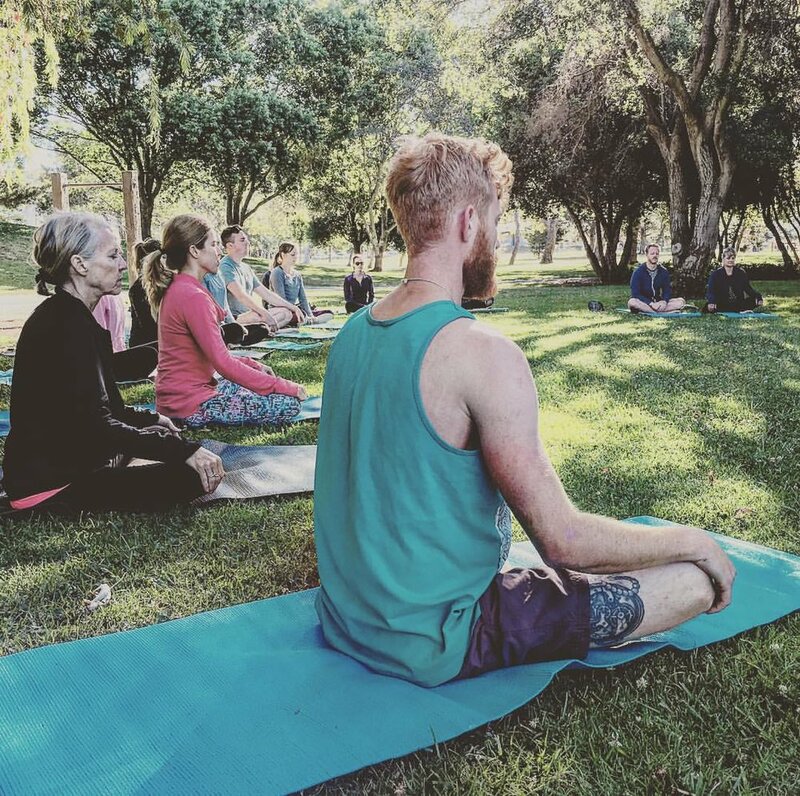 Yin, hatha, vinyasa & sattva yoga | meditation, pranayama, chanting & oils. Would you like to begin your special day feeling rejuvenated from the practice of yoga or have yoga as apart of your bachelorette party, contact Tulsi today. I have been practicing yoga on and off for almost 15 years. Life happens and I found other ways to exercise, stretch, strengthen, & meditate. When it came to planning one of the most important days of my life, I knew there was only one way to truly be centered for the day, and that was getting back to my yoga practice. It is no surprise that I found Tulsi through the yoga community in SLO. A mutual friend had taken classes with Tulsi & got us connected. Upon our first phone call discussing details of what I was looking for the morning of my wedding I was put at ease. We later met on one of my visits to SLO and felt as if I had known her for years. She provided a framework of what she could do & how to personalize it specifically to me. Fast forward to the morning of June 10th, 2017 after a sleepless night...I walked to a quiet spot of Meadow Park surrounded by trees, and 25 family & friends. We shared a beautiful practice that truly set my mind & heart at peace. Tulsi perfectly designed the flow for all levels along with incorporating her personal touches. 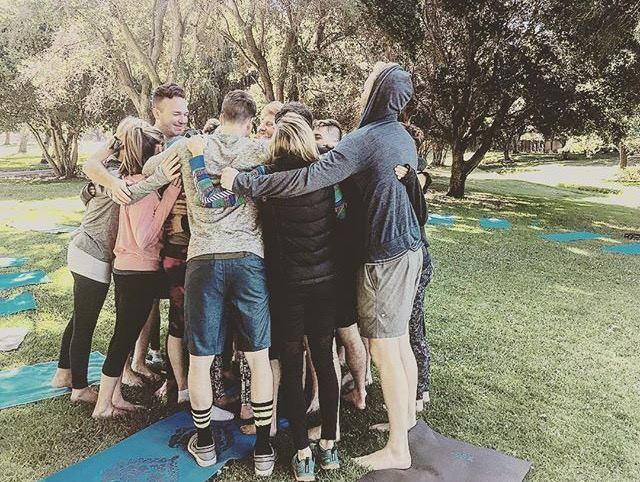 After we completed Shavasana, I was so overwhelmed with the energy & love surrounding me that I broke down. Literally tears of joy streaming down my face! That feeling resonated throughout the rest of the day. Tulsi Bagnoli, M.A. is a fourth generation meditator who has been practicing yoga and meditation since the age of four and teaching professionally throughout the US and India for the past 13 years. Tulsi is passionate about the practice of living yoga and helping people awaken to the untapped energy that flows within us all. Public Classes: Tulsi teaches an elevating class where students explore methods of the 8-limbed path of Ashtanga Yoga, while cultivating flexibility, core strength and connection to Spirit through deep awareness and breath. This style is a graceful, yet vibrant integration of solar and lunar energies in the mind, body and soul. Her Hatha Yoga practice combines asana, movement, breathwork, mantra, kriya, and a series of practices that communicate her unique experience and understanding of the yoga of feeling. Participants will learn to integrate breath, yoga posture, and heart feeling to strengthen the body, release constricting emotions, practice acceptance of what is, while moving into openness, and invoking gratitude in the fabric of one's being.